Critical responses to "Martin Chuzzlewit" have varied. By examining the overlapping contexts within which Dickens wrote, this study makes original contributions to our understanding of the novel and its critical reception. The notes revise and expand the conventional wisdom regarding the sources for the American chapters, demonstrating that Dickens ddrew on a much wider field of writings about America than has been previously acknowledged. By reading the novel int he light of contemporary professional journals, Nancy Aycock Metz also exposes issues of that period which underlay Dickens's portrayal of Pecksniff, young Martin and the architectural scene. Finally the notes point to previously unidentified influences on theplot and characters, illuminating the impact on Dickens's thinking of a wide range of texts, from the Bridgewater Treatises to the Bible, from popular songs and newspaper advertisements to medical treatises and parliamentary reports. Nancy Aycock Metz’s The Companion to “Martin Chuzzlewit,” one of the now familiar Companion series to Dickens’s novels, is a wonderful opportunity to immerse oneself in the thick details of Dickens’s fictional worlds—to learn, for example, that Montague Tigg’s “hollow square” was an absurd military formation for an attack [pp. 121–2] and that Mrs. Gamp’s “cowcumbers” were considered an “‘aristocratic delicacy’” [p. 343]. A nice bonus is an appendix of the novel’s more egregious Americanisms. 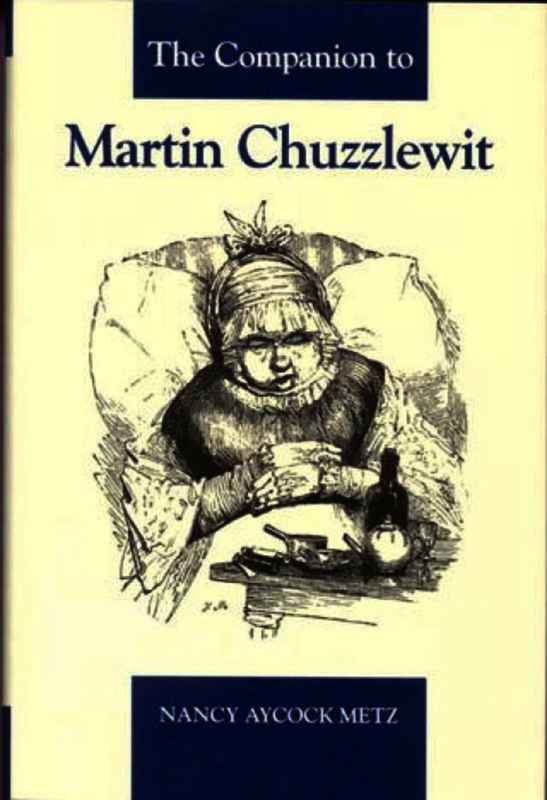 Nancy Metz’s Companion to “Martin Chuzzlewit” is a wonderful book and a good example of how scholarship at its best can be both enlightening and fun to read. ...this book is a feast! Metz writes in clear, concise prose and the quality and quantity of the information she provides makes this reference book a pleasure to read through, even from cover to cover.